NB: Macduff is fine. Not to be messed with, mostly. No, he's great. JR: Take us back through the casting process. When did you get cast? NB: It was early July and I'd just finished doing a really heavy stint on Doctors; a really major storyline and it was brilliant but hard work. Then my agent called me out of the blue and said, "Would you like to go up for Macbeth?" and I was like "Oh! Great!" JR: Does your agent usually call you to go for Shakespeare? NB: "My pretty chickens", yes. I read that as well as other bits and pieces. Then we talked about the character and where he [Macduff] was coming from, who he was and I really felt I had an idea about how to get under his skin and what his arc would be and all of that. JR: All this at the beginning, during the audition? NB: Yes and before when I read the play because I played it at school. I played Macbeth at school. NB: Yes. I was thirteen and studying for A-level. I remember we did an inter-house presentation. It was with the Witches: act one, scene three. Then in the sixth form I actually played him [Macbeth] in a full-length production, opposite my English teacher. 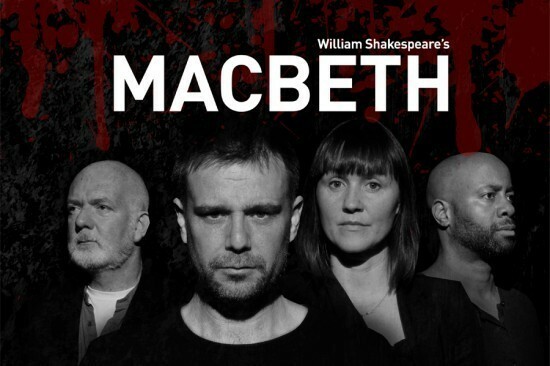 It's bizarre because even now I think I know Stuart's [Laing, who plays Macbeth in the Mercury Theatre production] lines better than my own, which is slightly disconcerting. I find myself mumbling them when he's on stage. JR: But hopefully not while you're on stage with him. "[Macbeth] was my introduction to Shakespeare [in school] and it's still my favorite play." NB: [laughs] No, not while I'm on stage. Not audibly. He's done a fantastic job. That was my introduction to Shakespeare [in school] and it's still my favorite play. I remember the sound of the applause on the night we opened that. I guess I must have been sixteen or seventeen…I remember what it felt like to be him on stage and to be in that amazing play. So the chance to be in a professional production [of Macbeth] was just huge. I would also like to play him again, but really [taking this job] was about being in the play again. When I got the chance to read and study Macduff, I felt this is something I really understand. 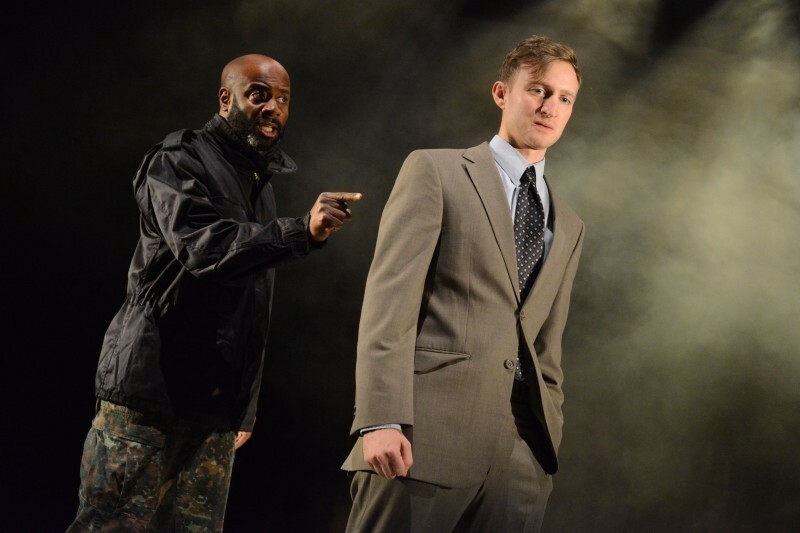 NB: Well I couldn't possibly comment [laughs], but I think for me…let's put it this way, I'm very blessed to playing him and it's a fantastic part in the same way that Laertes is in Hamlet. "I just think [Macduff's] a guy who has an inner decency – not that he's a perfect guy"
NB: [Macduff's] described as this avenging angel. I just think he's a guy who has an inner decency – not that he's a perfect guy – but I think he goes on a journey, the same as Macbeth and other characters do. And I think you get a sense of the world they're trying to protect and I think in essence he [Macduff] questions that and I think he questions himself. I talked with Georgina Sutton [who is] playing Lady Macduff because we don't work together in the lay and I said to her, "It's not about how perfect his life was or their relationship with each other, it's about that sense of devastation: he ends when his blood-line ends and when his family ends." He's a family man and he loves his family, but then his purpose, the reason why he's on earth becomes apparent. "[Macduff's] there to re-establish the Divine Order. He's there through his vengeance. He's there to fulfill an ultimate purpose over and above his own." NB: He's there to re-establish the Divine Order. He's there through his vengeance. He's there to fulfill an ultimate purpose over and above his own. But in so doing, Malcolm enables him and says, "Look, I'll lock the door. You get on with what you need to do." You'll see it later, but I hope it's clear that he [Macduff] is a very different guy at the beginning from the guy he is at the end and that's because of what happens to him but also in what he's asked to do and where his morals, his sense of the world takes him. And it's quite complex. That's the way I'm reading it anyway.